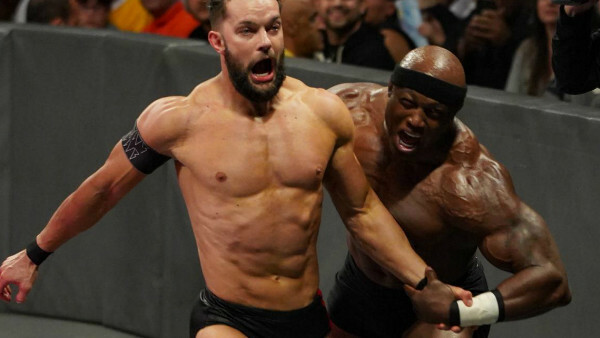 Both Lords Of Pain and The Wrestling Observer have been speculating that Bobby Lashley will soon take some time off the road to heal nagging shoulder injuries. Dave Meltzer's report said Lashley has been working the past few weeks with a separated shoulder, but he is determined to work through it. Whilst that kind of dedication should be admired, it is probably for the best that Bobby lets his body fix itself instead of risking re-aggravation. Internally, WWE believe Lashley has the grit to power through and work his dates as scheduled without interrupting his new alliance with 205 Live's wrestler-turned-manager Lio Rush on Raw. Rush has worked hard to present Lashley as a reborn dominating heel, and it'd be a shame to put that on the back burner should the big man have to take some time away from the ring. Still, it's a bit risky to continue wrestling the power-based style Lashley does if he's in tremendous pain during matches. His most recent showing, against Finn Bálor on Raw, can't have done that injured shoulder any good in the long run.